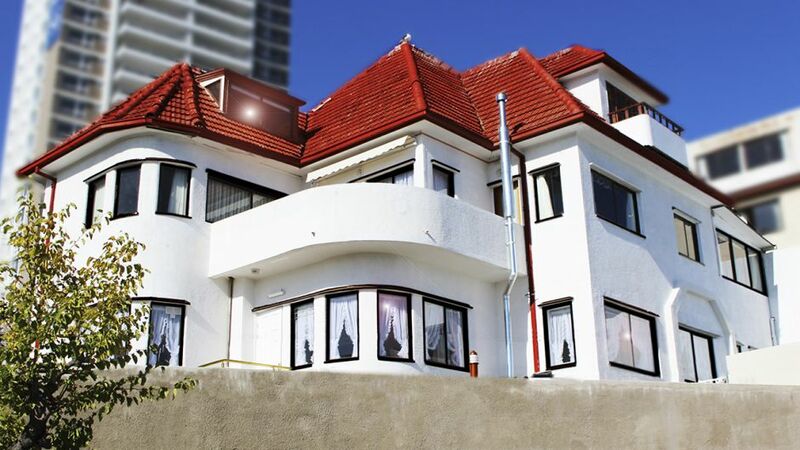 5 ESTRELLAS "Our hotel is located in the historic headquarter of the city of Viña del Mar, formerly, the house of the Adolfo Ibañezs family in 1940 , Whose Univers..."
Featuring an outdoor pool and a restaurant, Hotel Vista Velero offers accommodations with free WiFi access in Viña del Mar. Each room here is fitted with a private bathroom with a spa bath, cable TV and a minibar. Guests can enjoy sea view and pool view from the room. Extras include a desk, a safety deposit box and a laptop safe. A daily breakfast buffet is included. At Hotel Vista Velero guests will find a 24-hour front desk, a garden and a terrace. Other facilities offered at the property include a shared lounge and luggage storage. The property offers free parking. The hotel is 3 km from Viña del Mar Bus Terminal, 1.2 km from Flower Clock and 1.7 km from Wulff Castle. Santiago International Airport is 84 km away.